If you are looking for your next bike and run challenge, how about the Muckathlon? It is a 30km off-road duathlon that takes place in Fife on on Saturday September 1. There will be a Mini-Muckathlon the following day for children aged six to 13. 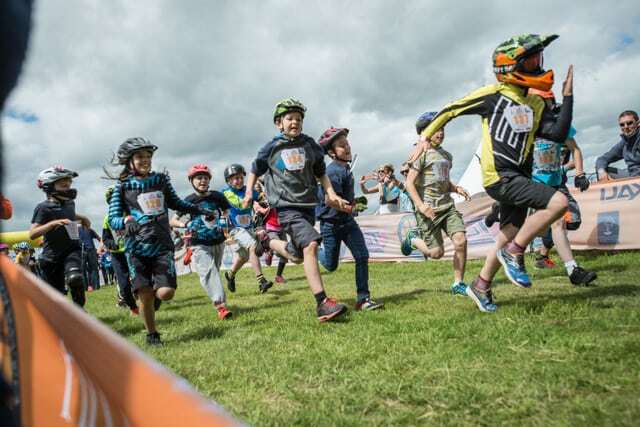 The Muckathlon and Mini-Muckathlon are part of the Eliminator Mountain Bike Festival, this year supported by EventScotland and part of VisitScotland’s Events Directorate. The festival is being staged at Parkhill Farm, Newburgh, Fife, from Friday August 31 to Sunday September 2. The barley fields and rolling hills of Parkhill Farm will once again be transformed into the venue for the fun-packed, family-friendly festival, with an all-action activity programme for every age, both on and off the bike. This includes a music festival with camping and glamping and a gourmet, locally sourced food and drink festival, all crammed into one weekend of entertainment. September 1 at approx 9.30am. £20.00 (Solo) or £32.00 (Pair) (Price also includes weekend entry to festival). The second edition of The Muckathlon is great for all kinds of runners and cyclists, from novices to more experienced athletes. You can compete solo or in pairs. 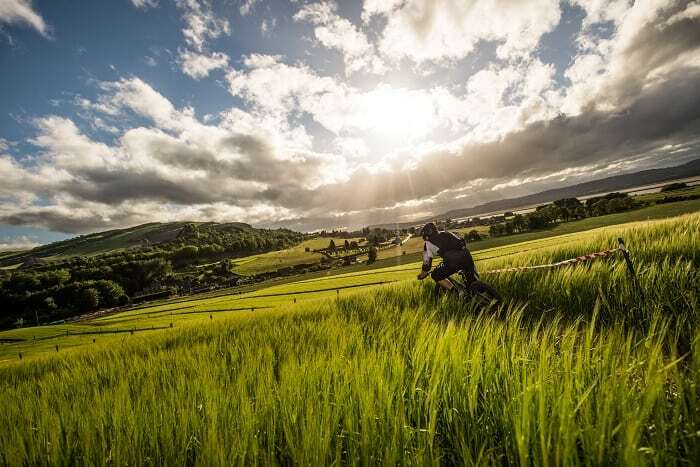 Muckmedden Events, Eventfull Sporting Events and Parkhill Farm, who have teamed up to stage The Muckathlon, promise a mostly off-road “run-bike-run” duathlon course that uses tracks around Parkhill Farm and the northernmost section of The Fife Coastal Path. All transitions and the finish will be in the event village so supporters and spectators will be in the thick of the competitive action throughout. Aaron Gray, from Muckmedden Events, organisers of The Eliminator Mountain Bike Festival Festival, said: “The inaugural Muckathlon was very well received at last year’s festival and the feedback we had from competitors was fantastic. “We’ve tweaked this year’s run section slightly to make the most of the amazing views of the Tay we have on offer at Parkhill Farm. The two Muckathlon 5km trail run sections traverse the boundary of Parkhill Farm and down past the old fishing bothies on the banks of the River Tay with stunning views over Mugdrum Island to the Carse of Gowrie. 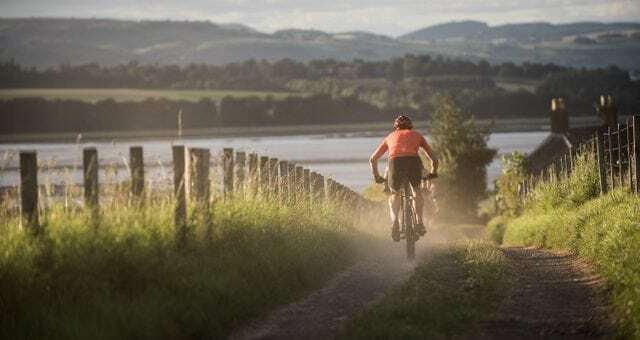 The 20km bike course will be sandwiched between the run sections, more than 50 per cent of which will be off-road on the reasonably isolated northernmost section of the Fife Coastal Path, adding to this fantastic adventure. It skirts around Norman’s Law before returning to the event village via a quiet stretch of undulating public road alongside the River Tay, past the ruin of Ballinbreich Castle. The course features a good mixture of open field tracks that overlook the Tay, secluded woodland paths, with the odd stretch of singletrack thrown in. There are some fun descents and some tough climbs throughout. £15.50 (Price also includes weekend entry to festival). In celebration of Scotland’s Year of Young People 2018. The Mini Muckathlon starts with a “Le Mans style” 100-metre sprint to the bike pick-up point. The race continues with a 2-3km cross country cycle featuring double track and single track trails around Parkhill Farm and The Eliminator’s famous “Crazy Crops” barley slalom, before returning to the finish line in the heart of the event village. The young competitors will leave in age order with the eldest at the front of the pack. Organisers, Muckmedden Events, are promising the greatest edition of the Eliminator Mountain Bike Festival yet. See family fun at festival for more details. .
To buy festival passes and race entries go to Muckmedden Festival and races. My pal takes on the Tour de France!